What could be scarier than Satan? Ooops. I gave away the band's name. Oh well. 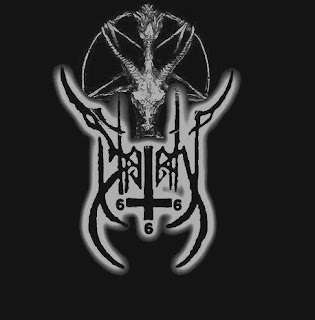 They are called Satan and I am pretty stoked that their simple band name has a complex logo. These dudes are from Mexico and are face painting black metalers. My favorite part of their MySpace page is the super cute adopt a pet cartoon ad on the left side. Maybe this is why I am drawn to the band. They appeal to both my love of corpse paint and Hello Kitty.